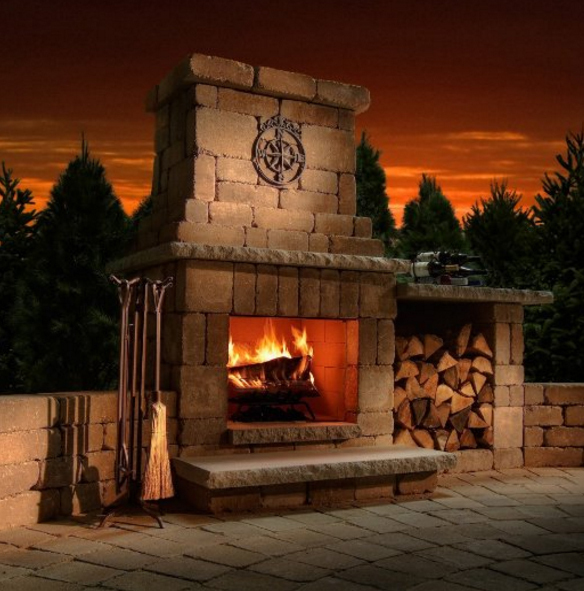 A chimney on an outdoor fireplace- whether attached to your home or a stand-alone fireplace away from the house – needs a chimney cap for all the reasons a house chimney needs one. The chimneys on outdoor fireplaces below have no chimney caps. On one, you can see the flue protruding from the top; on the other the flue is flush with the top. An outdoor chimney unprotected by a chimney cap invites water, mammals, birds and bird droppings to enter your chimney and fireplace. The visible flue on top of the outdoor chimney is unprotected by a chimney cap. The flue on this chimney does not extend about the crown. Nevertheless, it needs a chimney cap. 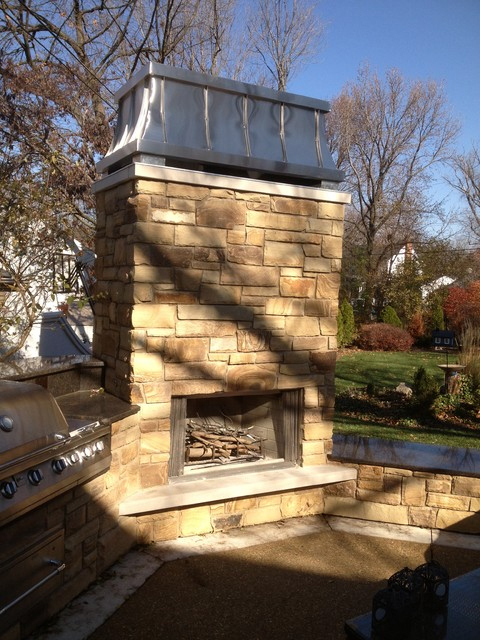 Stone chimney toppers resemble a table on top of a chimney. 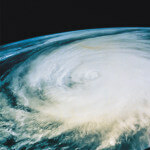 They have four legs, usually made of bricks or stones, and a flat top, usually a sheet of stone or concrete. 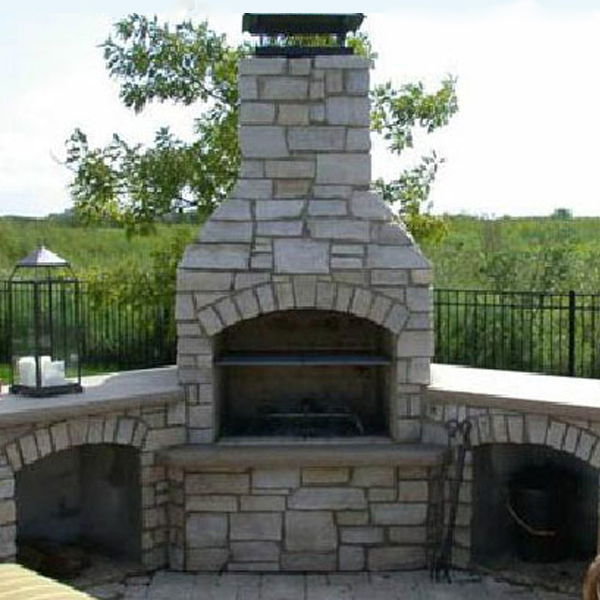 Stone toppers on an outdoor chimney protect the flue, fireplace, and fireplace grate from rain and melted snow. That’s a plus. However, animals including birds are still free to enter into the chimney and clog up the flue with their nesting materials. 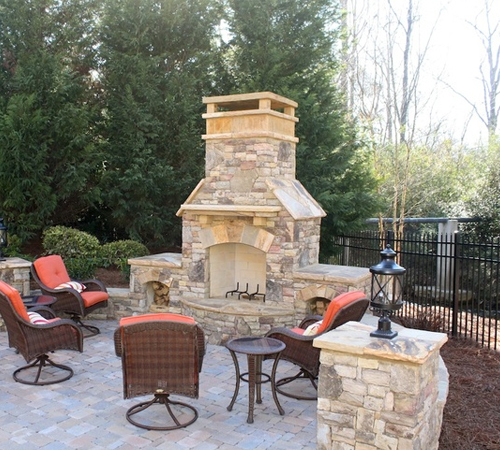 Stone toppers for outdoor chimneys typically do not have mesh screening. It is the screening that keeps animals out. 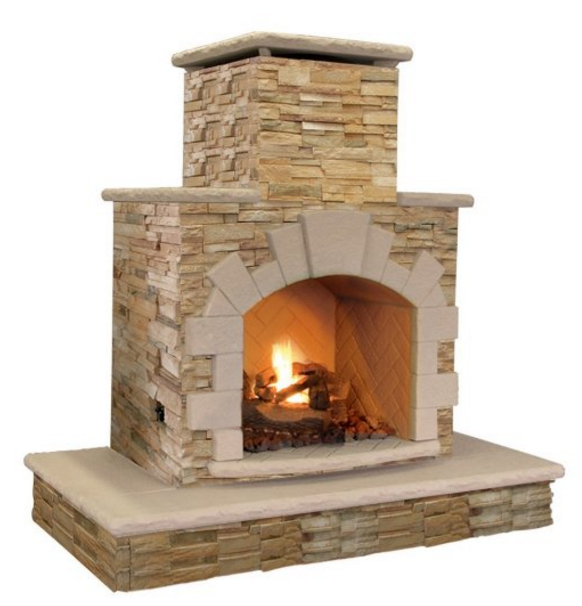 So, while stone chimney topper are better than no chimney cap at all, they are still not sufficient to protect your chimney and fireplace from animals. 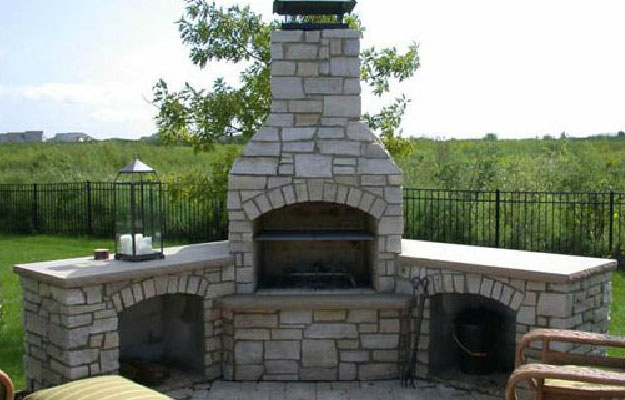 Stone chimney toppers will keep water but not pests out of your outdoor fireplace. Stone toppers typically do not include mesh screening to prevent animal entry. 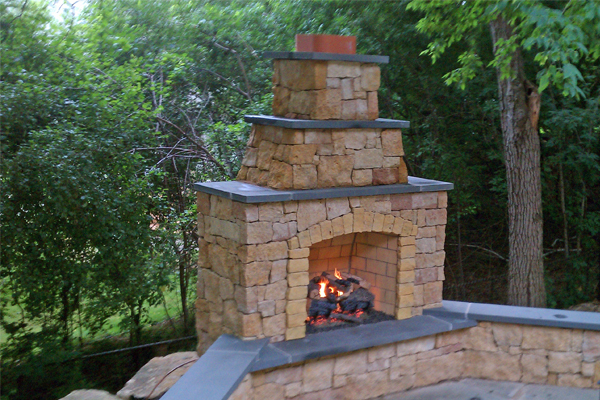 Chimney caps have a “roof” to keep rain from entering your outdoor chimney and fireplace. 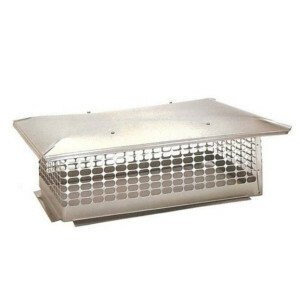 They also have screen mesh on all four sides to prevent mammals and birds from crawling into and leaves from blowing into your chimney flue and fireplace. 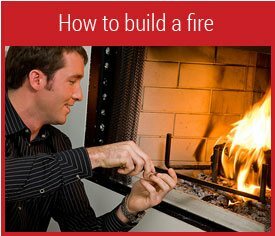 An additional benefit of the screening is that it prevents sparks and embers from exiting your chimney and starting a wildfire. 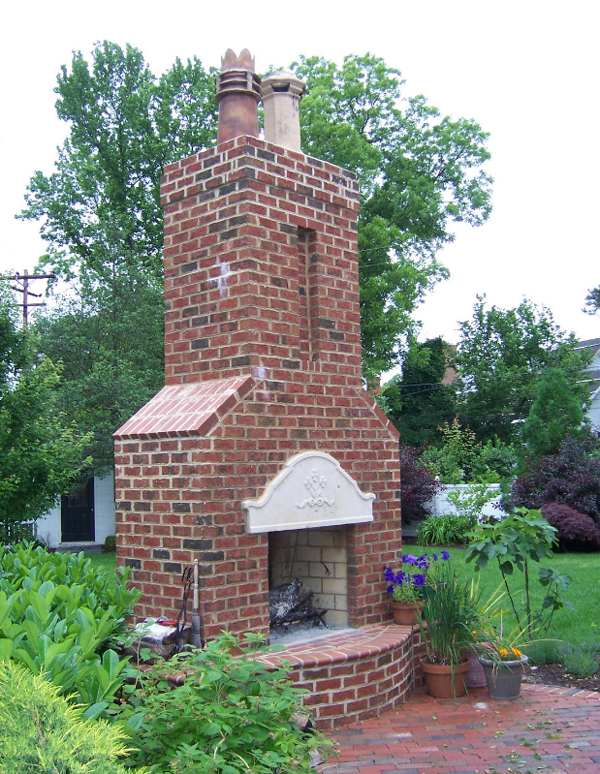 A Single Flue Chimney Cap is the least expensive way to protect an outdoor chimney. 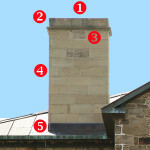 A Top Mount Chimney Cap has the added benefit of protecting the chimney’s top cement crown. 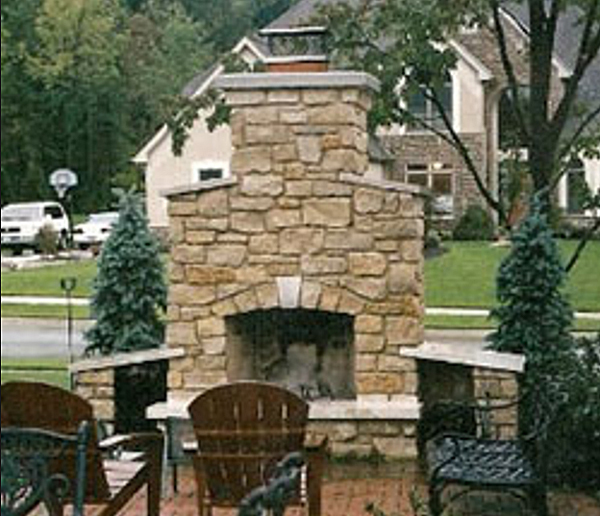 Custom made decorative chimney caps provide protection with architectural style and mesh. Chimney Pots are another way to combine style and the protection of chimney caps. 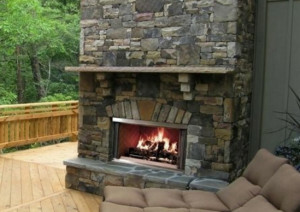 When it rains or when snow melts, without a chimney cap, the water will run down your chimney and into your outdoor fireplace. When water mixes with ashes in the fireplace, it produces caustic lye. 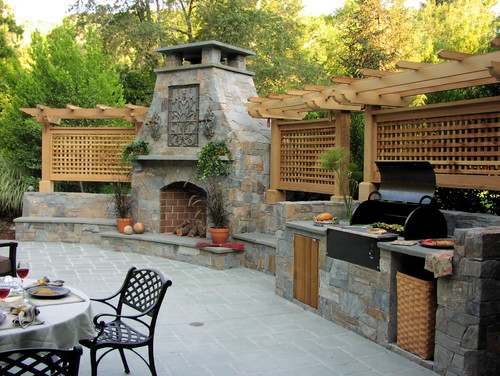 In addition, water will rust your outdoor fireplace grate. 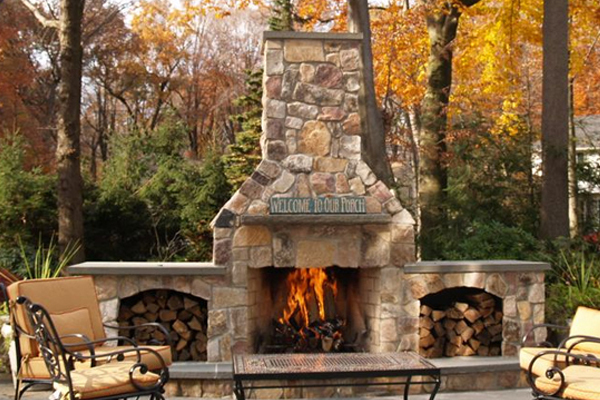 Squirrels, opossums, bats, and raccoon think of an outdoor chimney as a McMansion of a home! 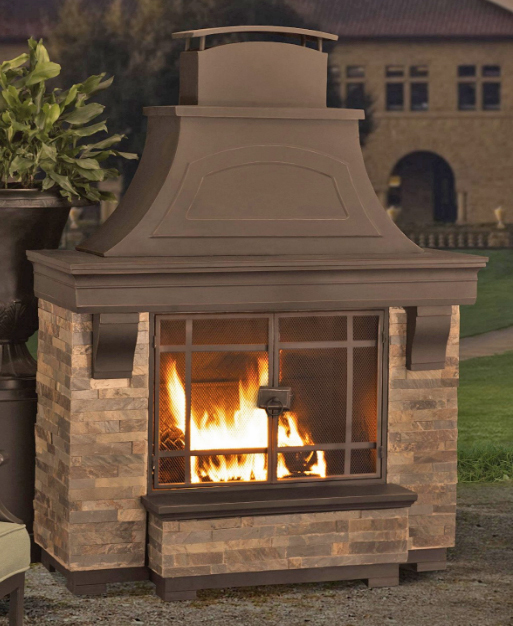 Within the wilds of your yard, but sturdier than a tree and safer from predators, that chimney serving an outdoor fireplace looks like a great place to raise the little ones. 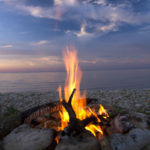 Once the critters have claimed your outdoor chimney as a rent-free home, you have not only a nuisance but also a potential for a chimney fire. Nesting materials within the chimney, even if you cannot see them, can cause a chimney fire. Birds sitting atop an outdoor chimney without a chimney cap will use the flue as a toilet. 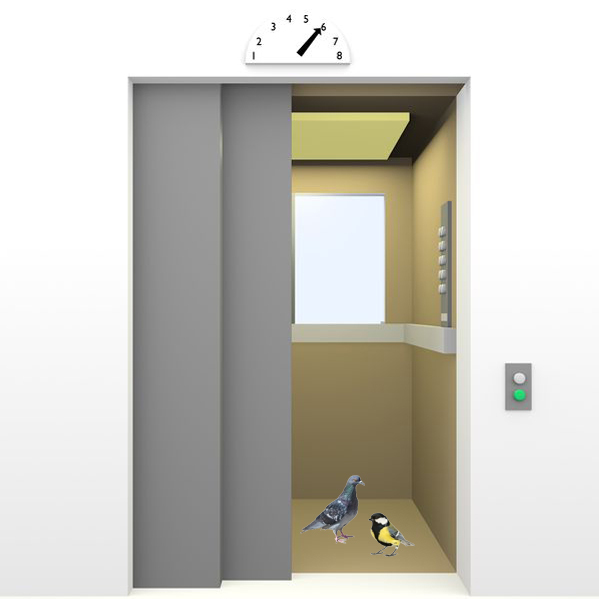 Bird droppings are dangerous to humans. And they don’t get any less dangerous when they are burned in the fireplace: Inhaling the smoke containing burning bird droppings in not healthy, either. If sparks are allowed to exit your chimney, they can possibly catch surrounding grasses, leaves, trees and bushes on fire. In the worse case, they can set you home afire. 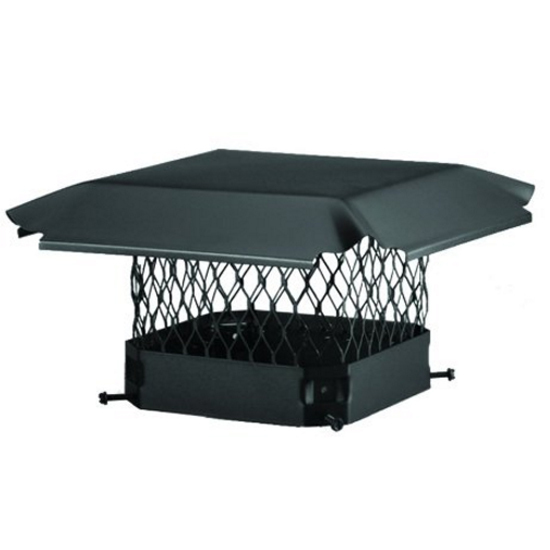 The screen mesh in chimney caps helps prevent embers and sparks from escaping your outdoor chimney.